Copycat Investing: Does it really work? You are here: Home / How To Invest / Copycat Investing: Does it really work? All of us have heroes in our lives whom we admire the most and try to be like him. While some admire a movie celebrity, others admire sportsmen. Heroes play a big role in our lives as they motivate us to achieve more. Even in the world of investing, we have some heroes like Warren Buffett, Peter Lynch, John Templeton, Rakesh Jhunjhunwala, Radhakishan Damani whom we admire so much, that we start copying every move they make. If they buy a stock, we buy them too, thinking it must be a great investment. 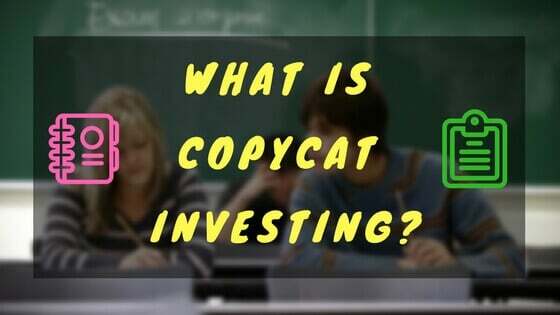 This whole idea of copying someones market movements or portfolio is called copycat investing. Copycat investing (also known as side-car or coattail investing) is a very popular form of investing. You simply track the investment moves of a famous investor and faithfully replicate his/her buys and sells. Since it is compulsory for investors to disclose the names of companies in which they hold more than 1% shares, it allows you to easily track and copy the buy/sell activities of an investor. 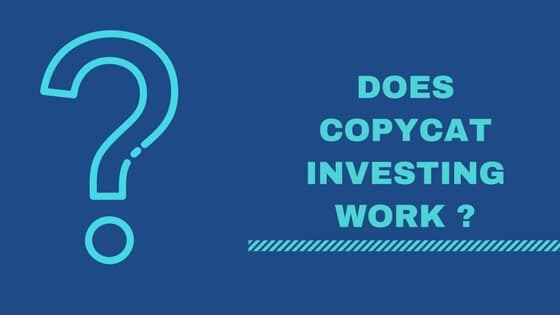 How does copycat investing work? As mentioned earlier, an investor has to disclose his holdings to the exchange (and to the public) if he buys or sells more than 1% shares of a company. Copycat investors use this information and buy the same stocks for their portfolio. 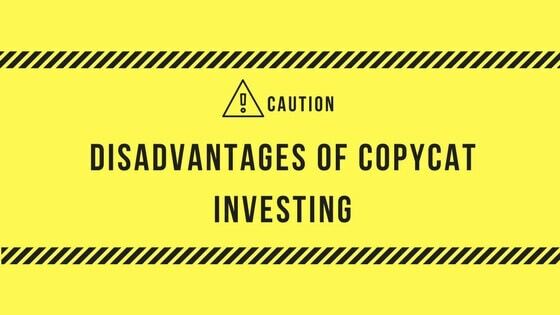 The logic behind copycat investing is that if an institutional investor decides to buy a large stake in a company, he expects it to make money for him in the future. If the retail investor buys the same company, he will also benefit from the future price appreciation. 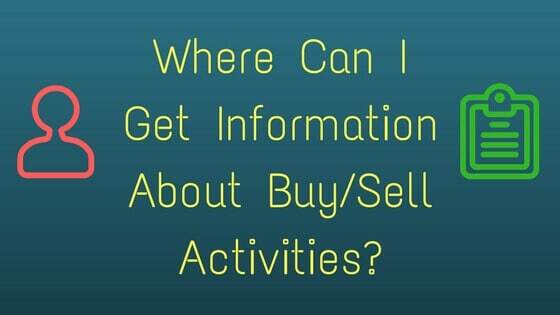 Where can I get information about buy/sell activities? Company disclosures: As per the rule, it is mandatory for a company to disclose the names of all the shareholders holding more than 1% stake in the company. You can simply read the company reports to find the names of some of the major stockholders of the company. Portfolio Disclosure by mutual/Equity funds: Every mutual or equity fund makes disclosures about their portfolio every month. You can find the names of the stocks bought or sold by the fund and use this information to make your own investment decisions. Block Deal/Bulk Deal: A block deal or bulk deal is when a large number of shares exchange hands. Stock exchanges publish this data on a daily basis on their website. You can find the names of investors involved, ae of stock traded, number of stocks that exchanged hands and the price at which the trade took place. 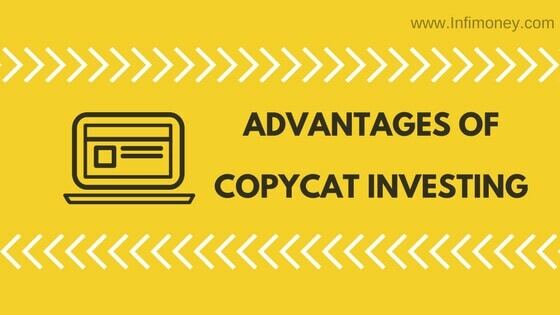 Following are the advantages of copycat investing. Copycat investing is much easier to implement. All you have to do is find an investor you admire, and simply start aping his market moves. All you have to do is set alert on his name so that each time he buys or sells significant position in the market, you will be posted. Every investment decision made by a successful investor goes through a lot of analysis and brainstorming. All the factors, whether macroeconomic or microeconomic, are weighed, the fundamental are thoroughly analyzed before making a buying decision. Since there is so much analysis involved, the chances of getting things wrong are very slim. I other words, when you invest using copycat investing, chances of success are very high. Copycat investing helps you find great stocks with ease. When you copy other investors portfolio, they have to do all the hard work of going through the financial statements of companies and finding one that qualifies all quality checks. As soon as they buy a large stake in the business, they have to disclose the name of the company, which gives you easy access to the names of hidden gems that were otherwise difficult to find. An investor has a well diversified portfolio, which helps them mitigate the investment risk. As an individual investor, you may not have such a diversified portfolio, and simply mimicking his buy and sell moves, may put your hard earned money at risk. Another drawback of copycat investing is that when investors pick a stock for investment, it usually compliments their entire structure of the portfolio. For Example, an investor may decide to make some fresh positions in banking sector, not because he hopes the sector to perform well, but to diversify his investment portfolio. If that happens, you may not see a significant up move in the price of the stock and feel disappointed by the stock performance. Another disadvantage of copycat investing is that your financial goals are completely different from that of the person you are aping. An investor may have a completely different investment horizon from what you have. While the investor can wait for a long period of time without worrying, holding on to a non-performing stock may not be the best strategy for you. No matter how deep the research is, there is always a chance of things going against you. Sometimes, even market experts make a mistake, while they can afford to bear the losses, such a loss may prove to be catastrophic for your investment portfolio. Whether the copycat investing is a profitable or not? The answer to this question cannot be given in yes or a no. There are many investors that claim to have made a fortune copying successful investor. However, there are many evidences suggesting loss suffered by those who tried to copy other investors. So is it really possible to make money by copying moves of successful investors? Copying someone blindly could be dangerous as different people invest with different purpose. For example, an investor may invest in a company to earn dividend income, while your purpose could be earning money by capital gains. In such a case, copying someones market move will not meet the purpose you want to fulfill, leaving you disappointed an unfulfilled. It is thus advised to ensure that any investments made by the investor is in sync with your investment goals. Most of the disclosures made by institutional investors are delayed information, which is usually delayed by a day or more. If you miss the right entry point of an investment made by big investors, the result may vary greatly. Instead of copying someones investments, it better to do your own analysis before investing. Its true that large and institutional investors have more resources than individuals which enables them to make better and informed decisions. What you should do is prepare a list of companies investors are interested in and conduct your own research to check the quality of the company. Doing this will not only help you in finding good stocks easily, you will also feel more confident about your investment as you have done your research based on your investment strategy. Copycat investing can be a great way to find good stocks for your investment portfolio as big investors are resourceful and can do an in depth analysis of stocks, which helps them in maximizing their returns. However, copying blindly may be destructive as different investors have different investment strategy and time horizon. It is thus. in your best interest to do your own analysis before making any investment decision and weigh it against your financial condition and portfolio structure.